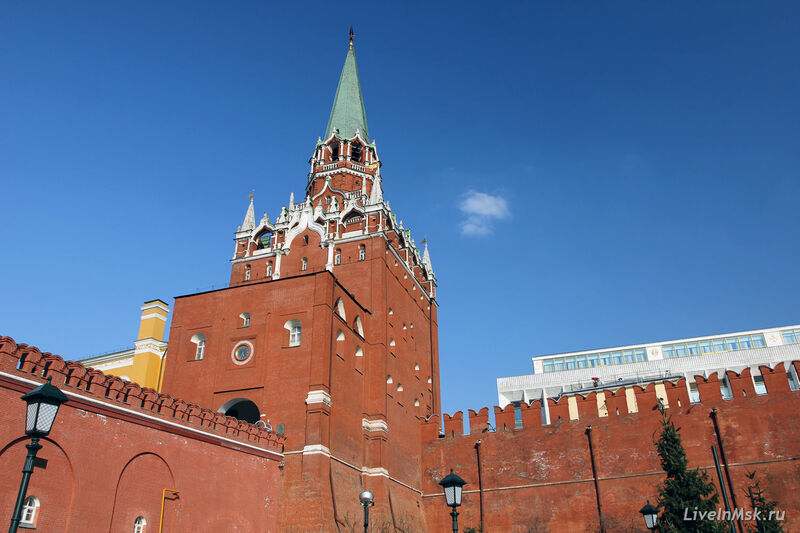 This tour includes: tickets to the Kremlin territory and cathedrals and the services of a licensed guide. Your guide will meet you in the hotel lobby. What does the word “Kutafia” mean and what makes the tower unique? 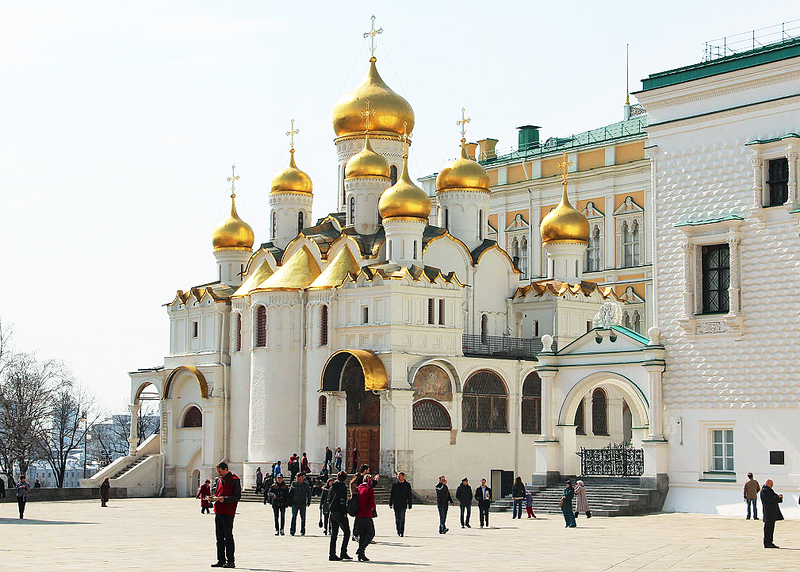 What is Moscow baroque like? 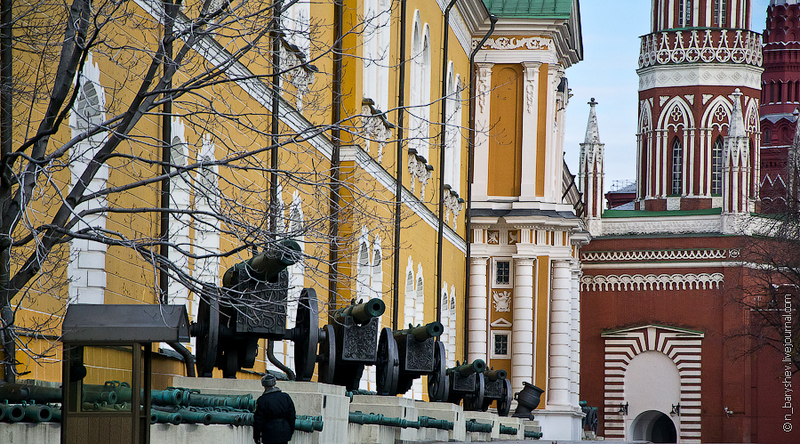 Where is the river protecting this side of the Kremlin? Note how thick the walls of the tower are! When did the five-pointed star appear on the tower? 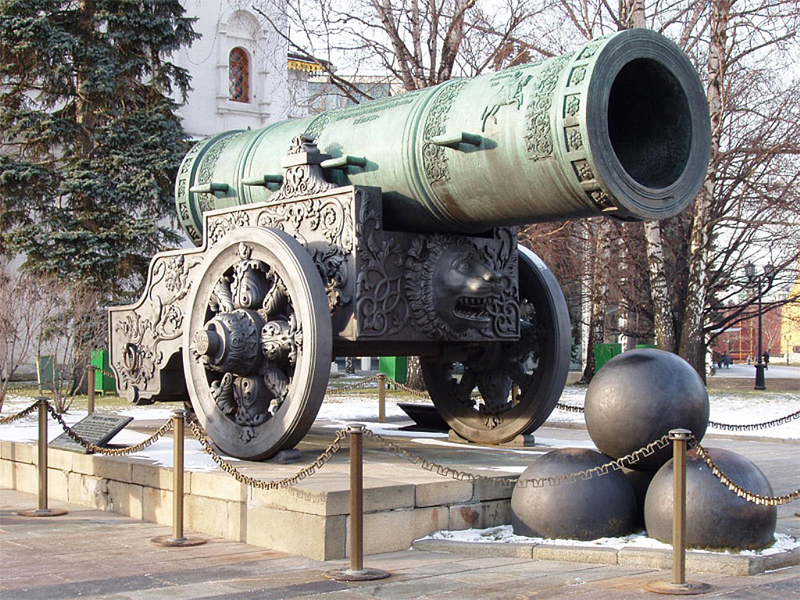 What is the origin of the canons near the Arsenal? What does the double-headed eagle symbolize and when did it become the national emblem of Russia? What is the palace used for now? Who worked and lived in this building in the Soviet time? Does anyone stay there for the night now? 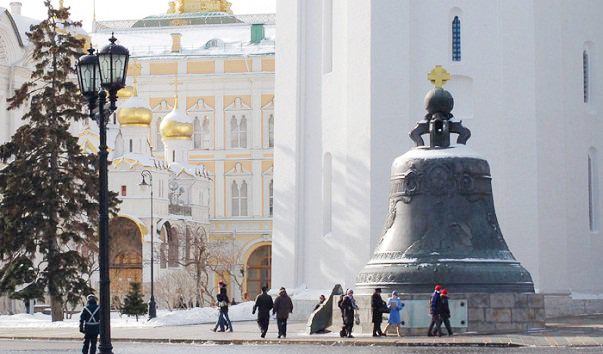 How much time did it take to cast the bell weighing 200 tons? Until 1883 – the main cathedral in Russia, the one that was used for Coronation and wedding Ceremonies of the tsars and emperors. Who had the VIP right to sit during the religious services? 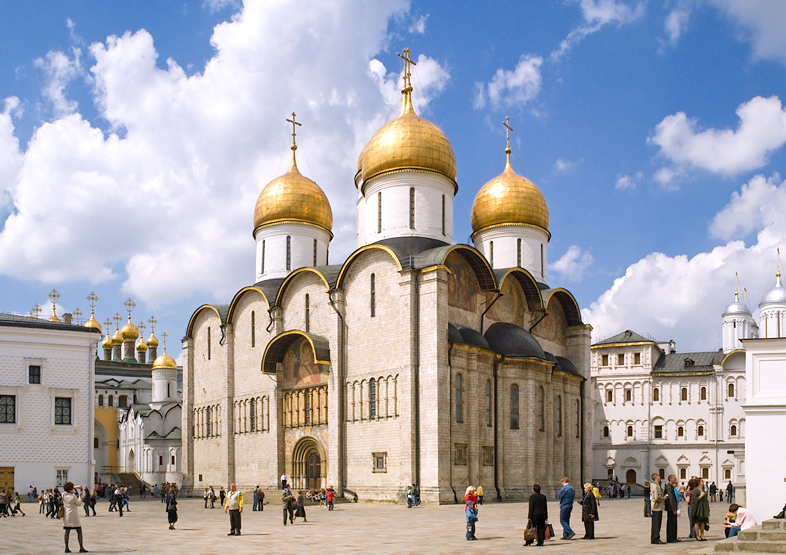 What is the oldest icon in the cathedral? 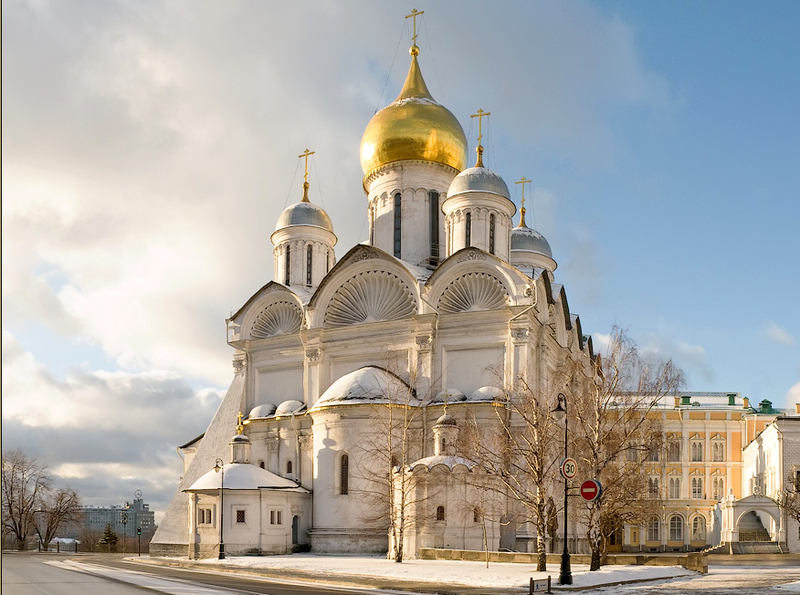 Where was Ivan the Terrible buried? 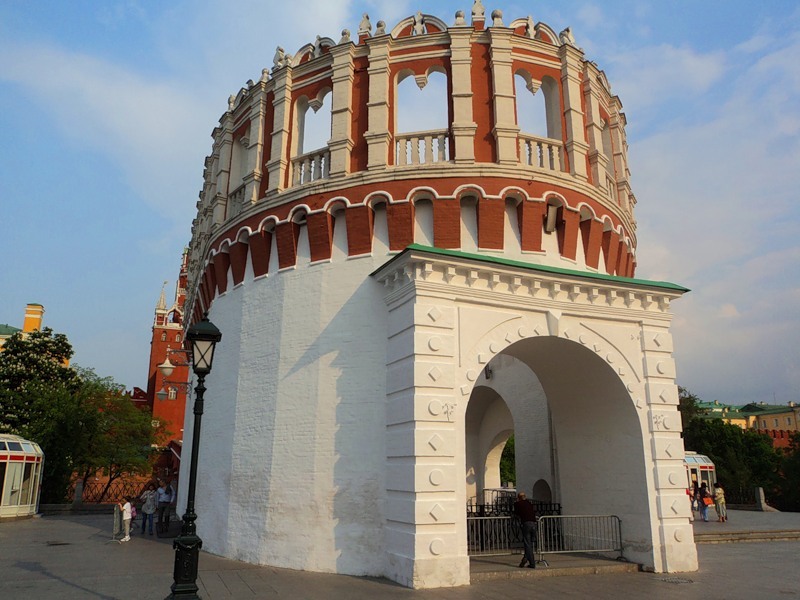 Why was Peter the Great (Peter I) and his descendants buried in St.Petersburg? What icon did the half-sister of Peter I order to be painted when she was condemned to the convent for betrayal? Nowadays it is used for events on the highest political level. 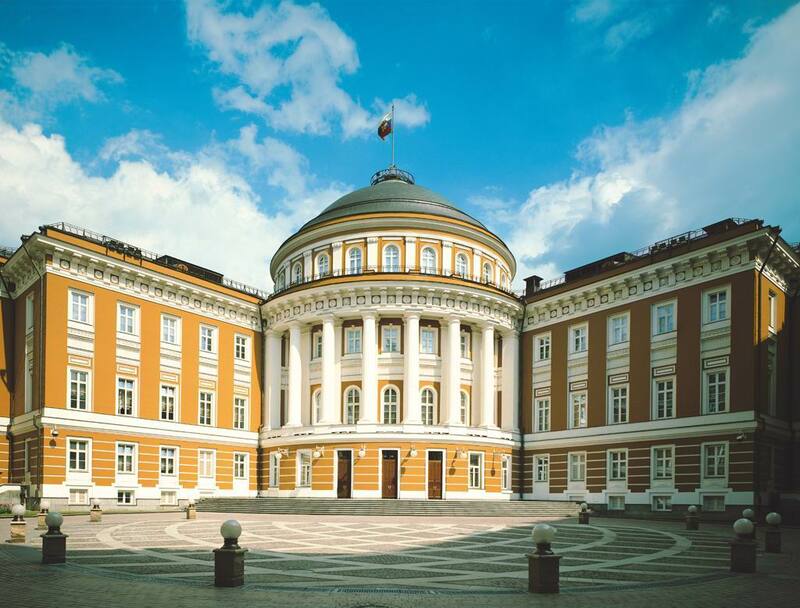 What museum occupies part of the palace? This tour should be prepaid FOUR days before the visit. If you want to cancel this tour you will get only half the sum back. You can pay by credit card, secured PAYPAL payment, we accept Visa and MasterCard. You can᾿t pay in cash for this tour. 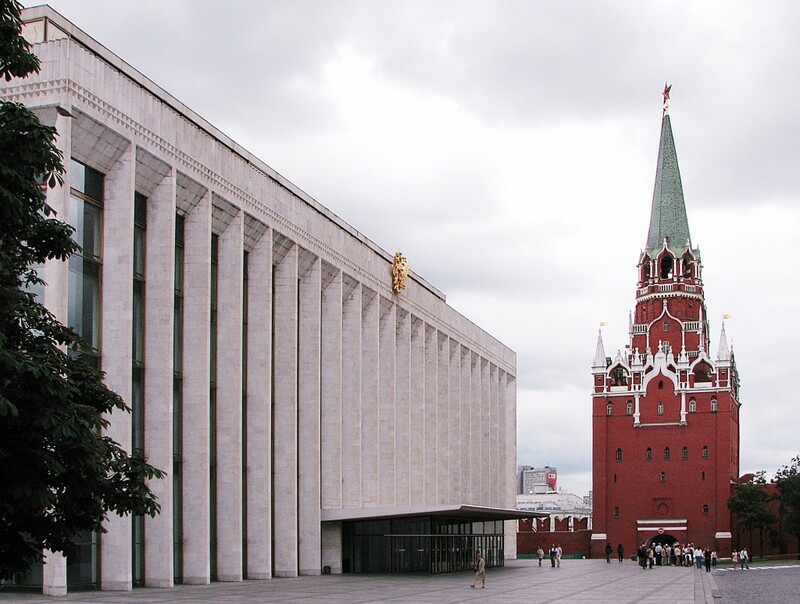 The Kremlin tickets are included in tour price. No additional fees! 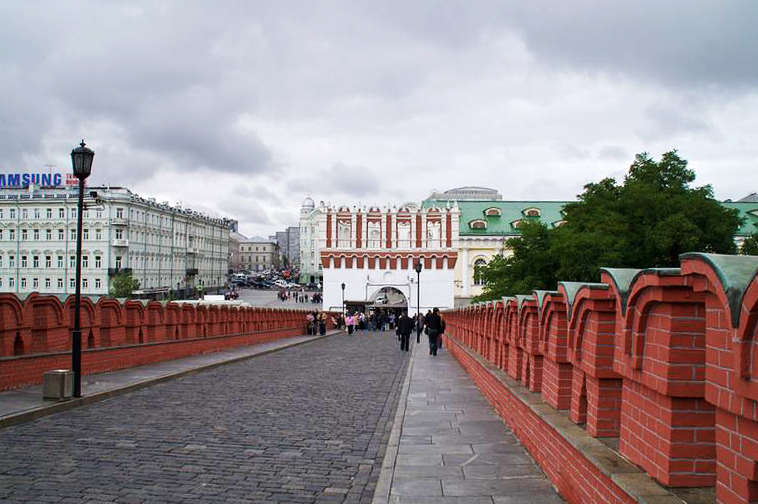 If you do not rent a car on this day, you will use metro to get to the Kremlin with your guide. The metro tickets will be free for you. Our meeting point is the reception desk at the hotel. 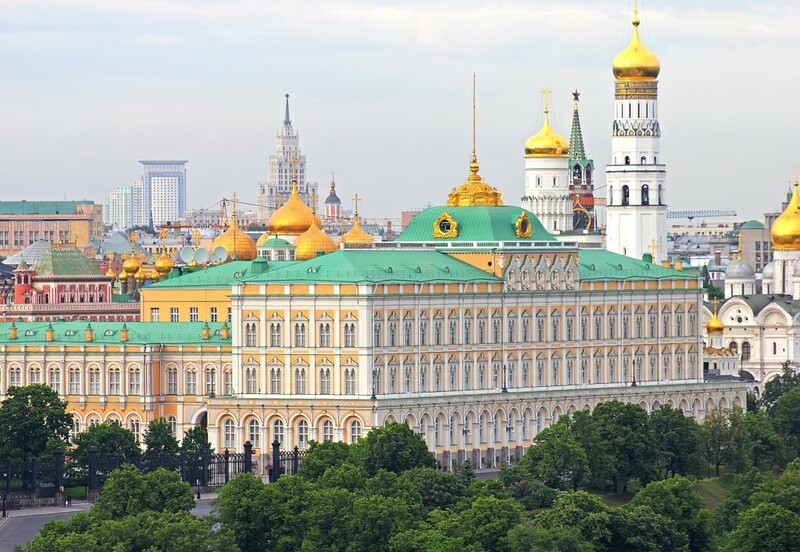 Contact us and we will come up with the best way for you to come to the Kremlin.